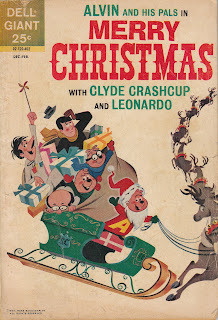 This 84-page book was illustrated solely by Bill Williams. 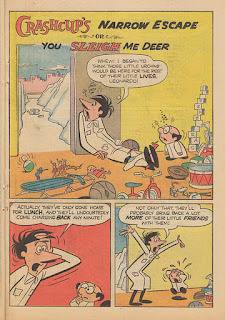 The "Alvin" stories, which eat up almost 50 pages, are obviously not Stanley's work. 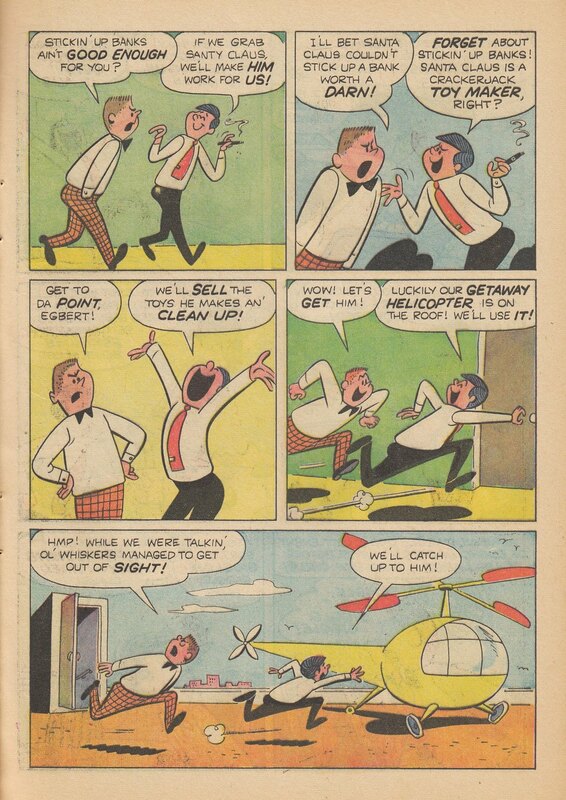 They're talky, static and witless. 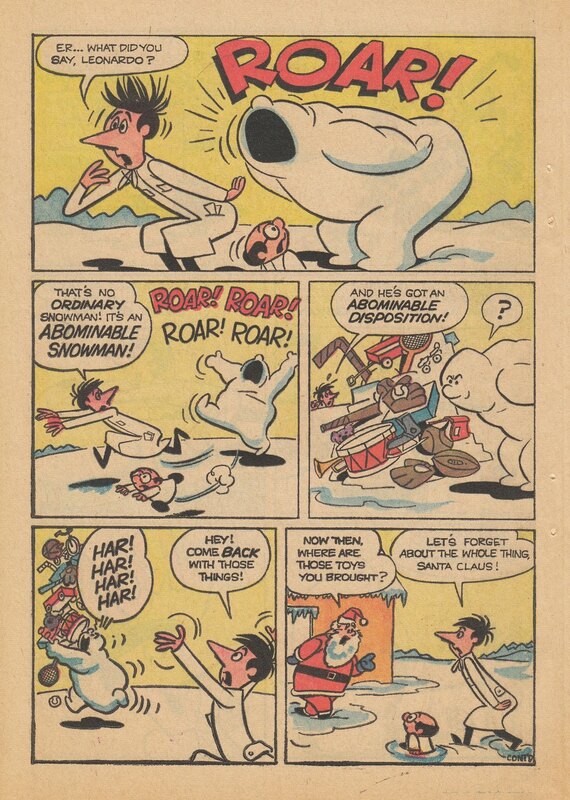 Worst of all, they're written down to a presumed audience of Keane-eyed tiny tots. 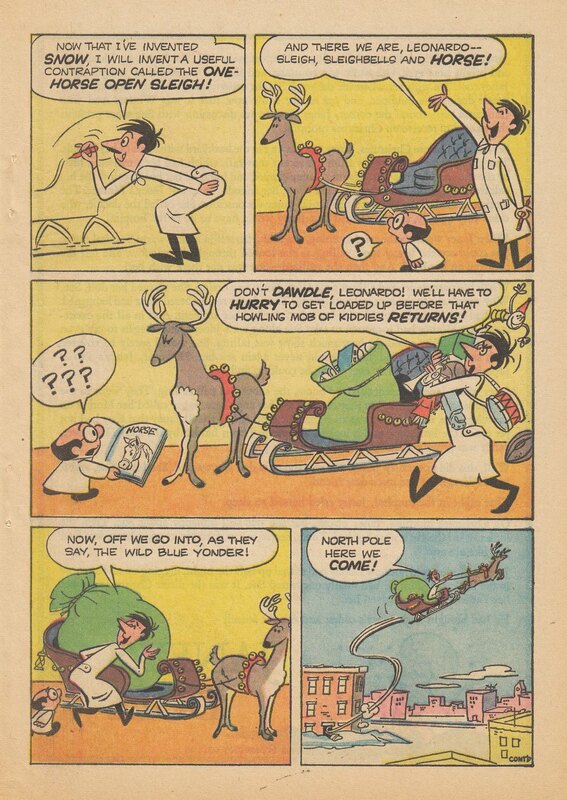 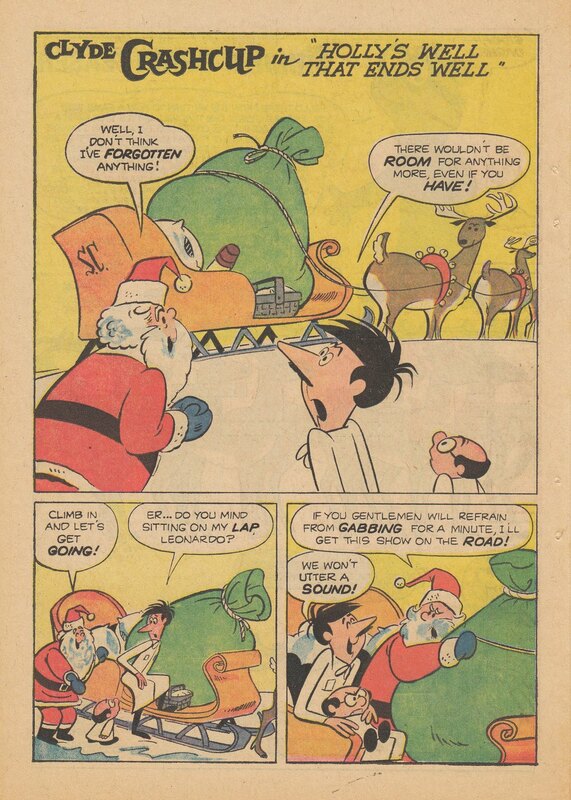 The 34-page "Clyde Crashcup" Christmas adventure, with its myriad Stanley stylistic tells, augmented by Williams' lovely cartooning, is a lost bridge between their epic collaboration, Dunc 'n Loo, and Stanley's late auteur work. 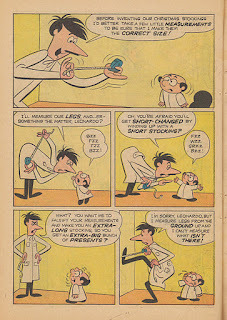 Yes, I just did a post on this character. 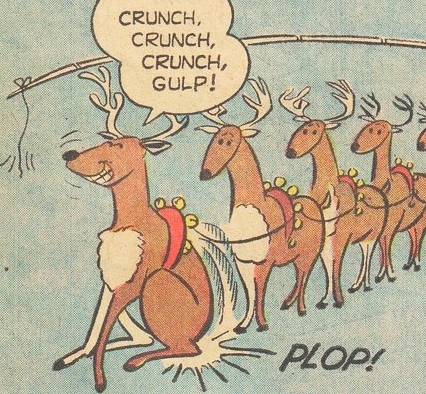 I hope the repetition isn't a bore. 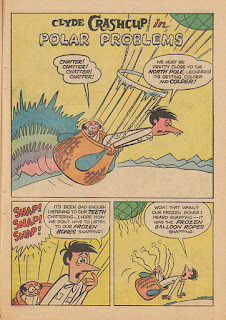 Irving Tripp, and other staff artists, did the finishes on the five issues of the regular Crashcup book. 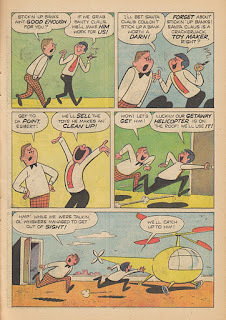 It's a real treat to see Bill Williams' animated, jolly cartoon style applied to these characters and their world. 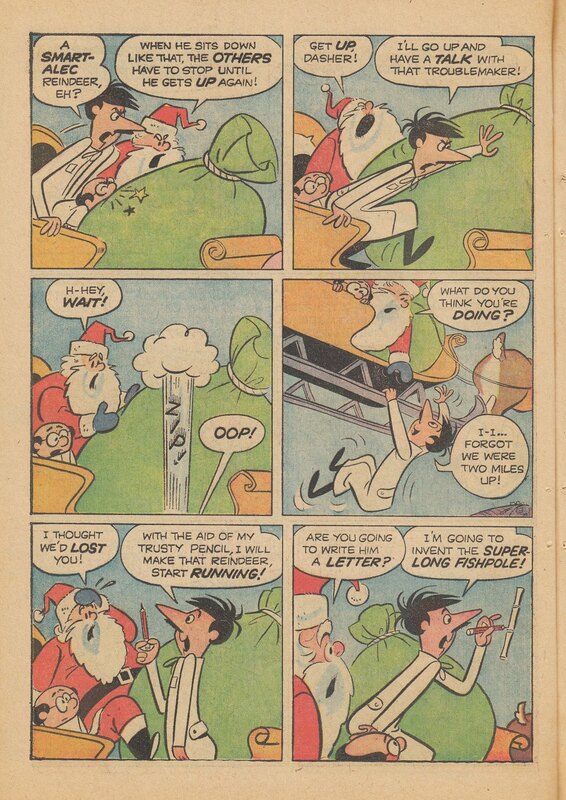 Williams' artwork makes even the dull "Alvin" segments bearable, despite their absolute lack of narrative interest. 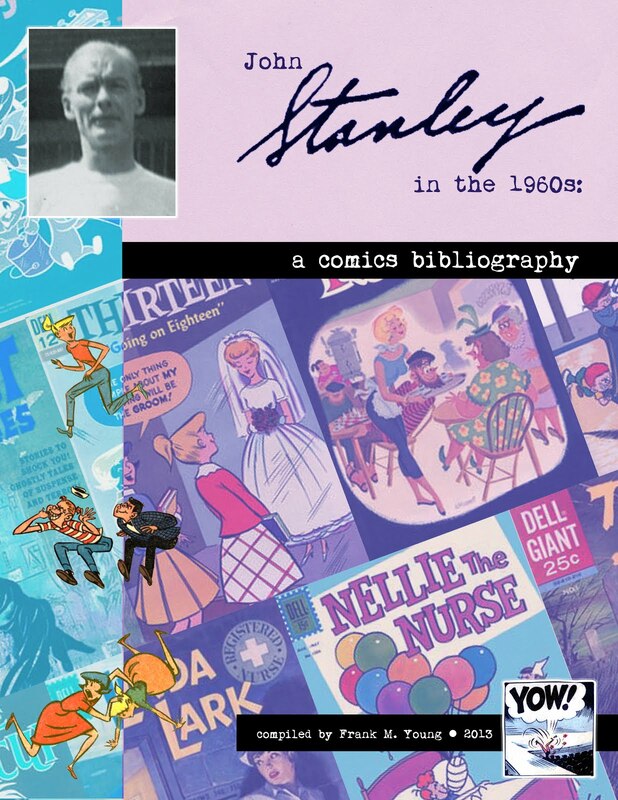 When his energy as a draftsman meet's Stanley's as a storyteller, the results are always dynamite. 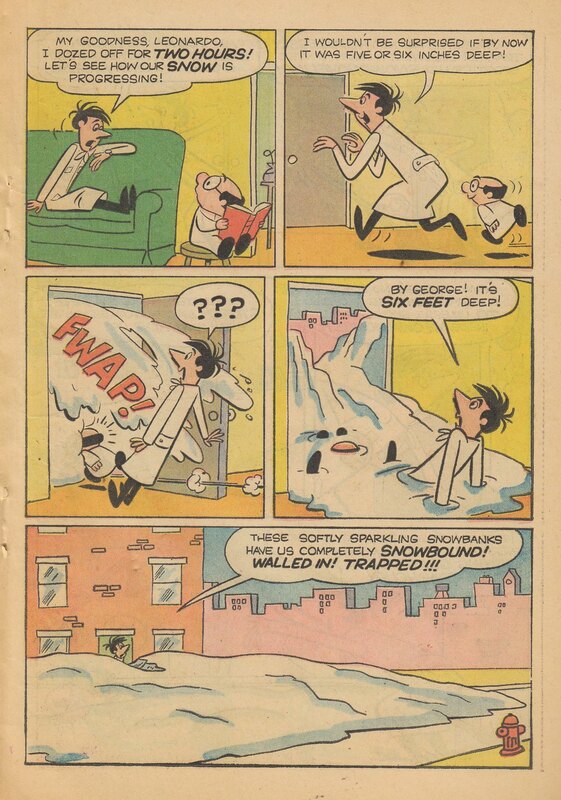 I have a sneaking suspicion that this story may have been created as a stand-alone 36-page comic book. 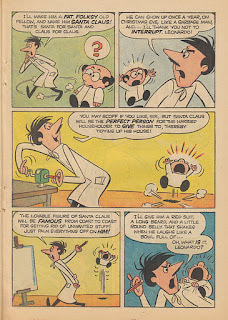 No attempt is made to cohesively connect it to the "Alvin" sequences. The episodes are shuffled amidst "Alvin" material and kiddie activity pages. 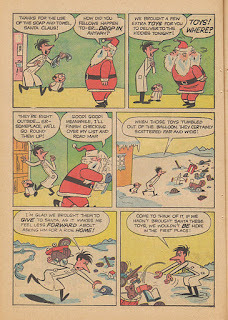 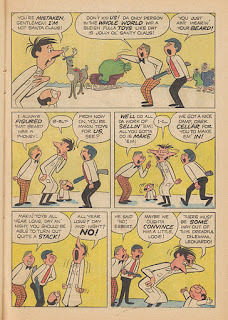 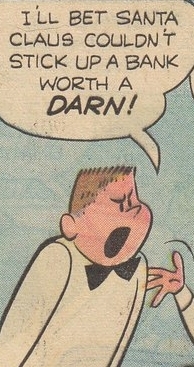 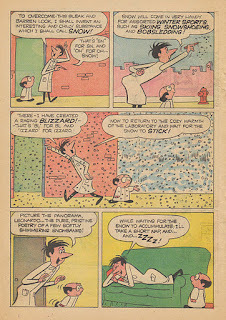 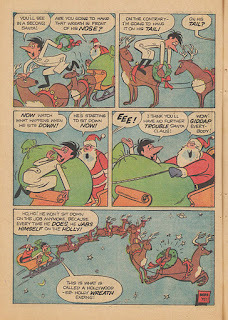 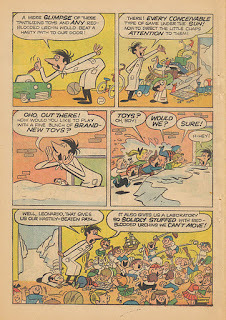 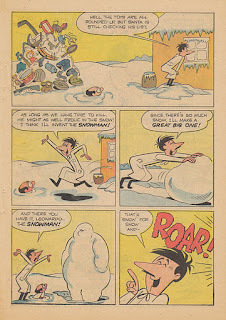 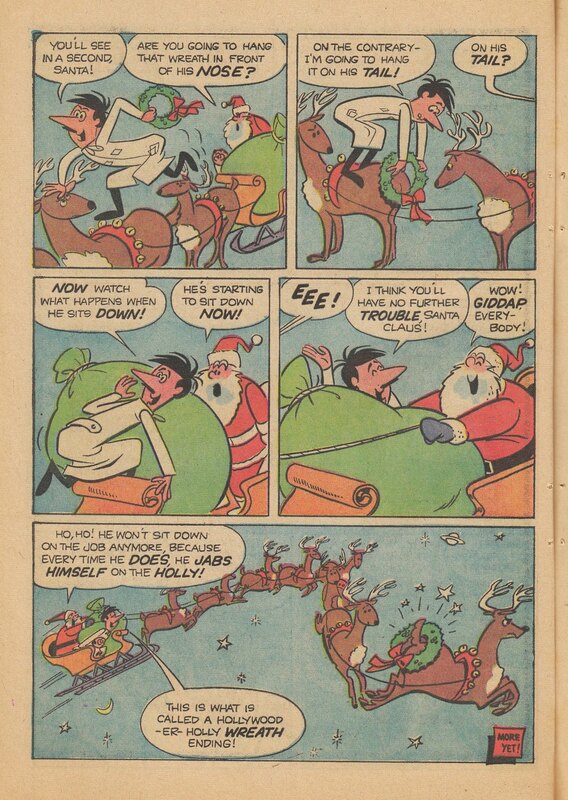 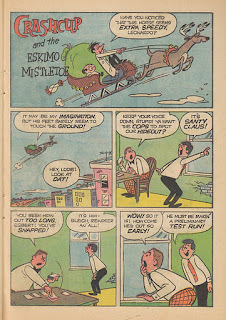 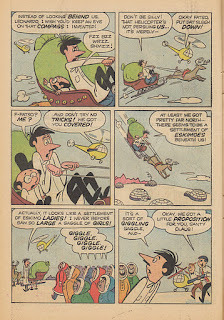 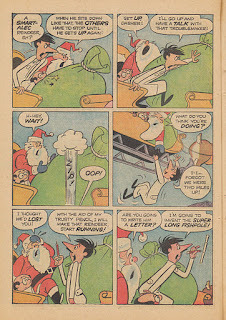 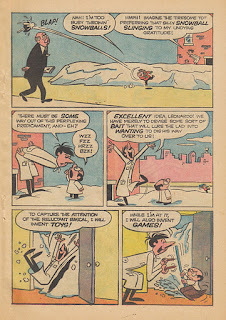 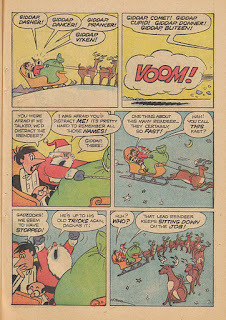 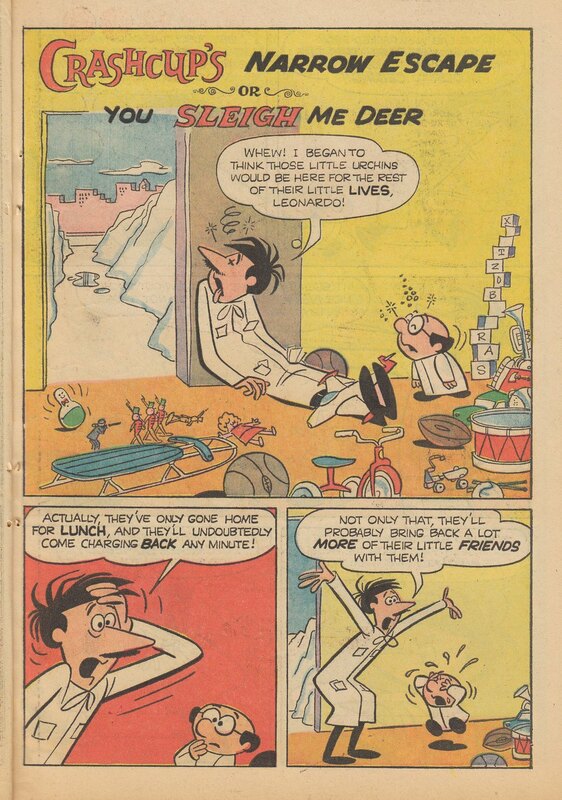 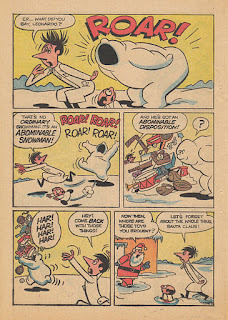 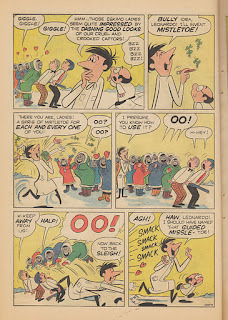 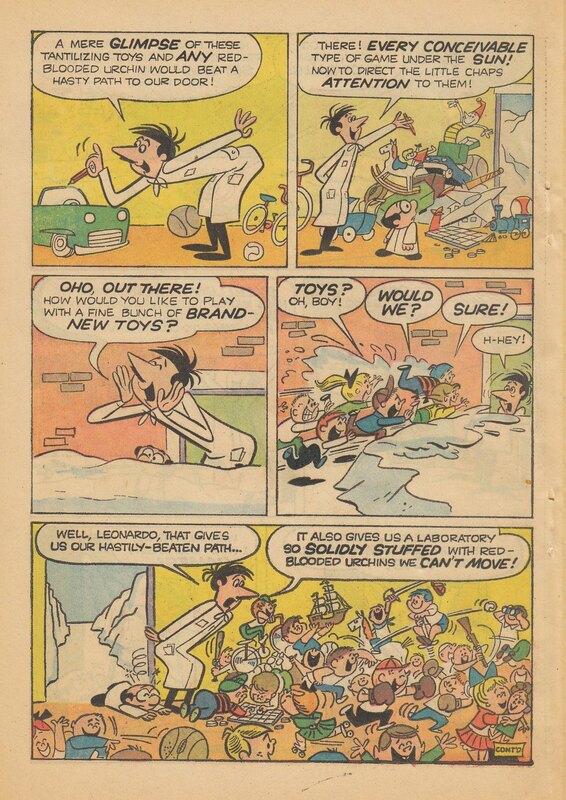 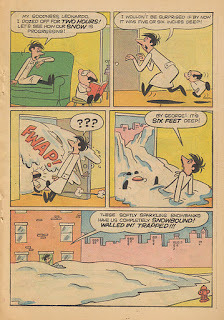 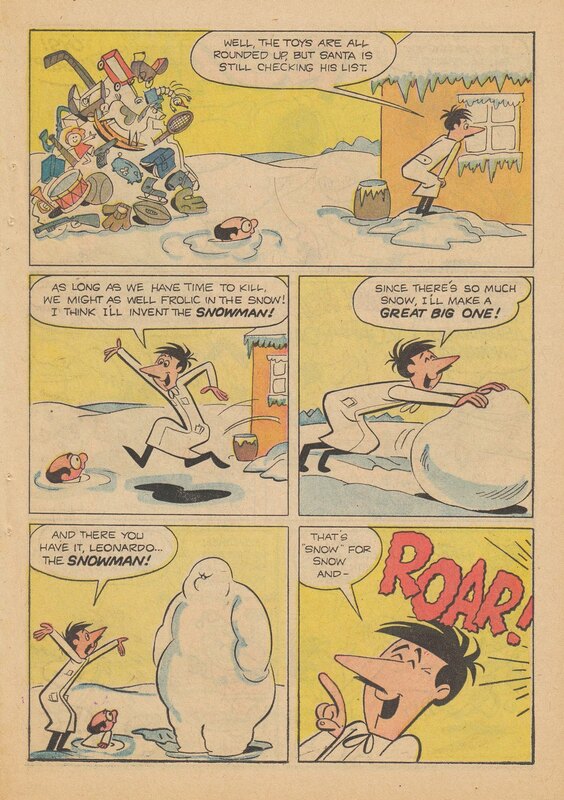 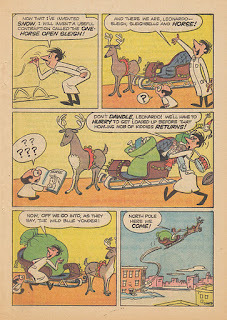 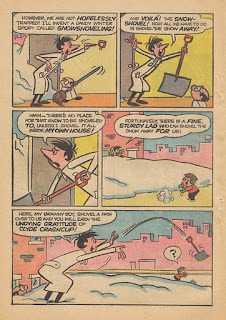 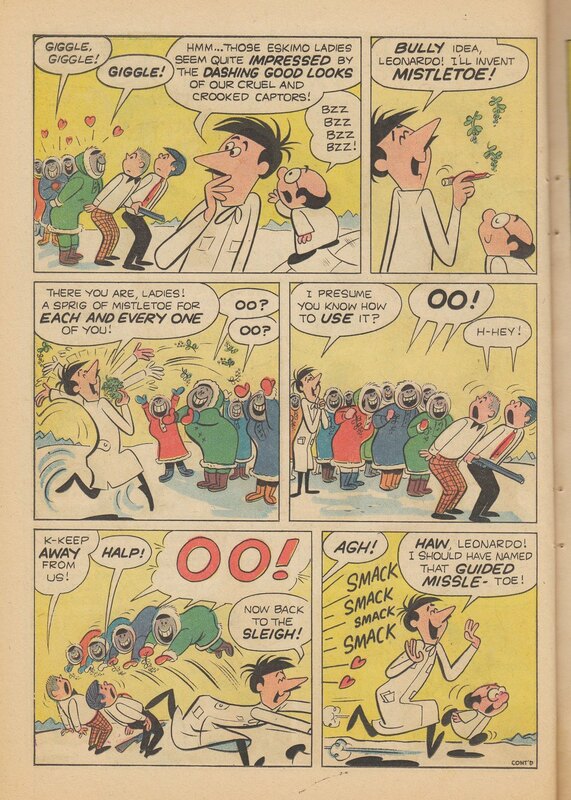 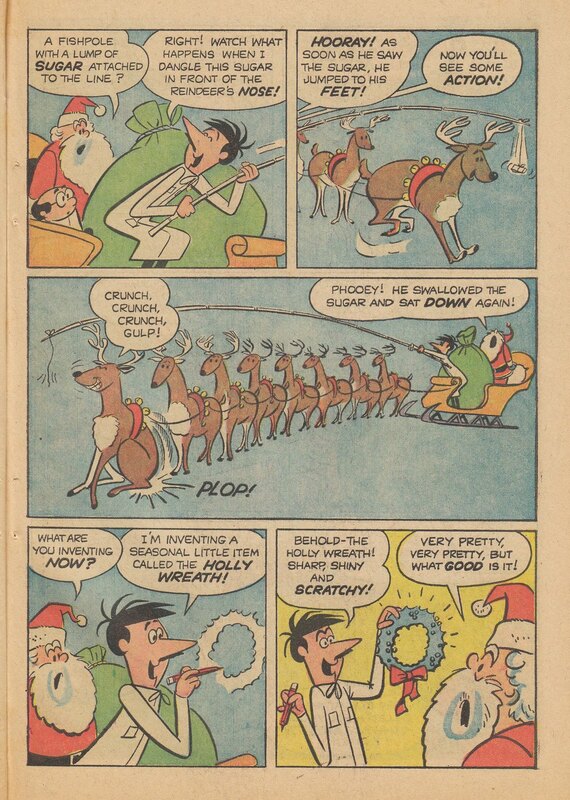 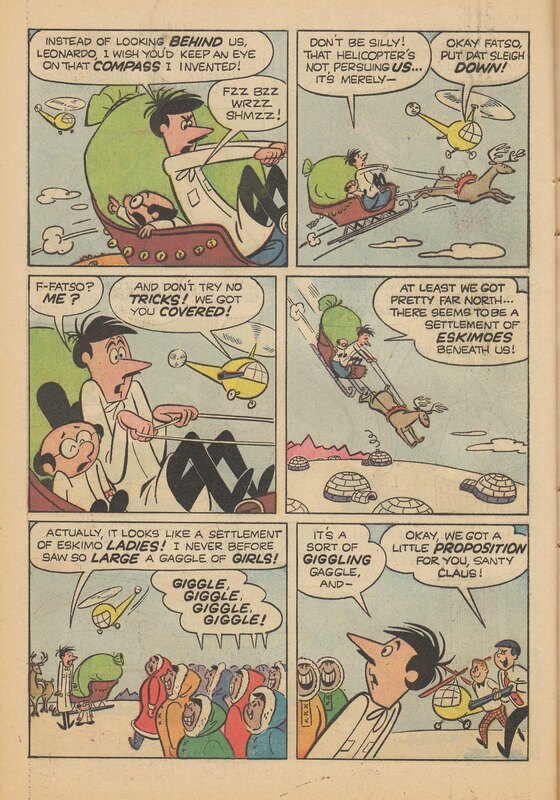 Stanley's other giant-size comics (done with the "Little Lulu" and "Nancy and Sluggo" characters), which can be read elsewhere on this blog, weave subtly inter-related stories. 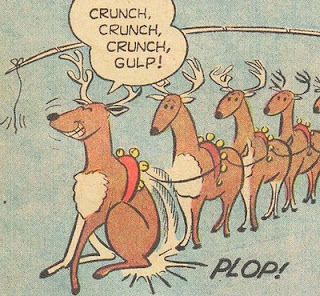 The individual pieces can stand alone. 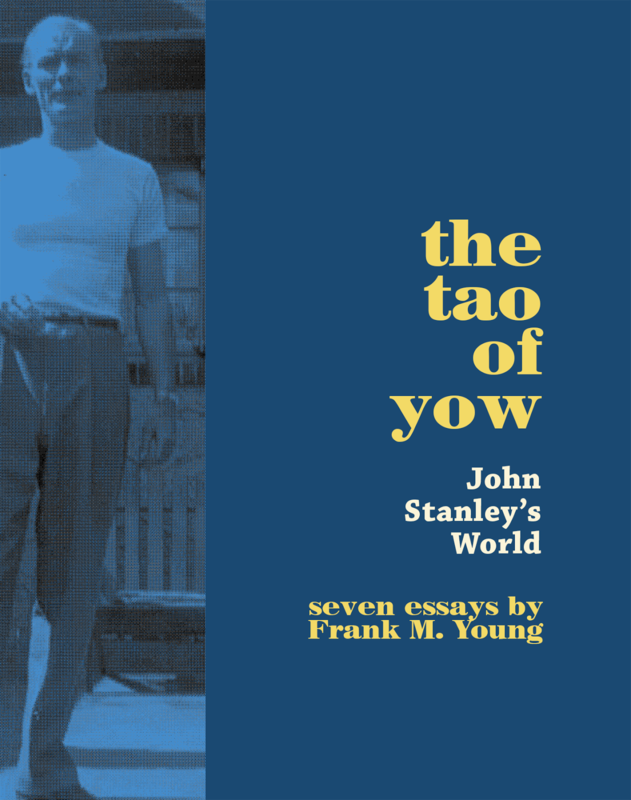 Read together, they're a loose-flowing, understated narrative. 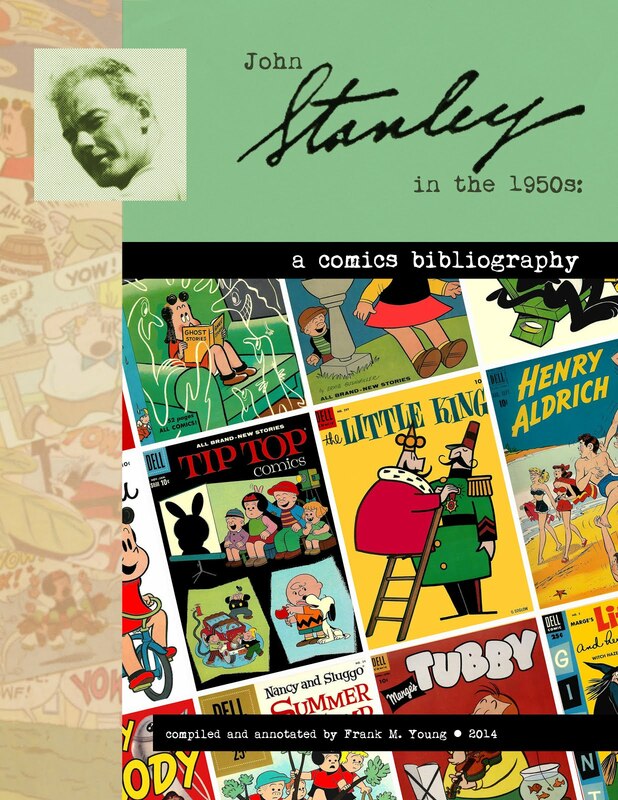 Stanley does enough call-backs to prior stories, late in these books, that they emerge as a satisfying whole. 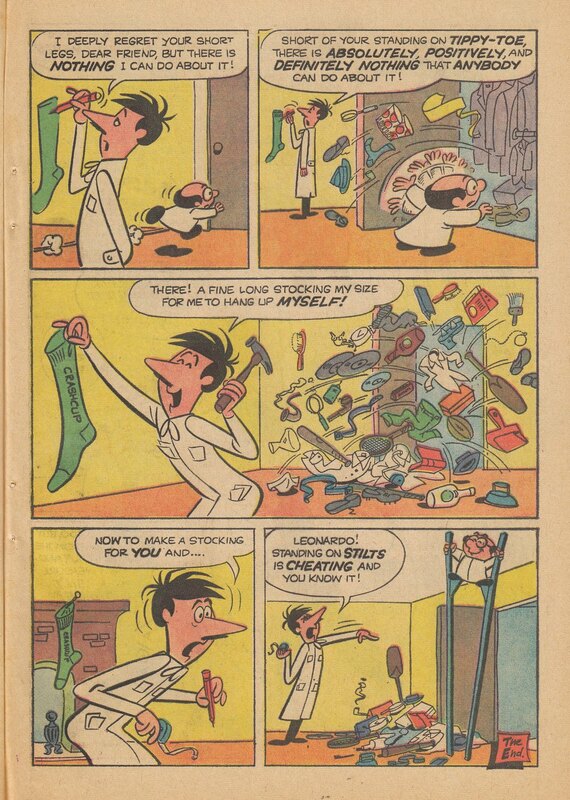 This moment captures the essence of the attitude of John Stanley's favorite character type. The entire page brims over with playful anger, as Crashcup poo-poohs the notion of Santa Claus as a giver of gifts, and not a junk removal service. 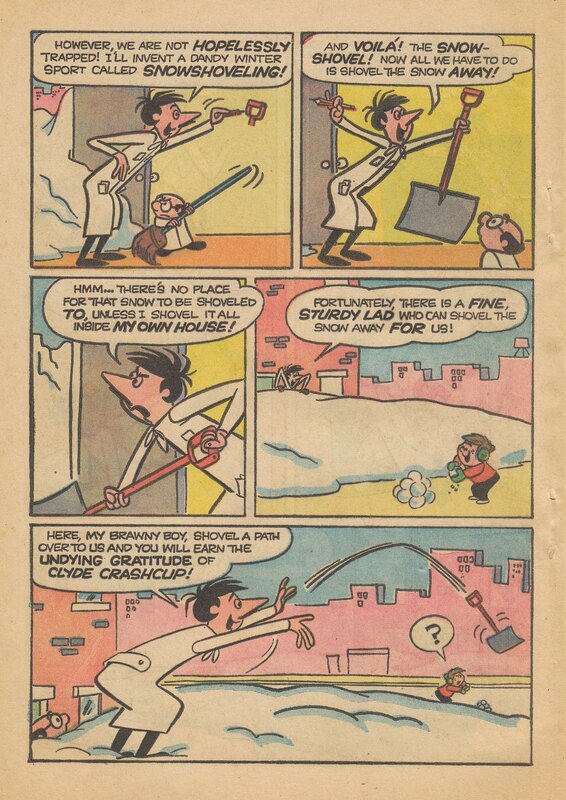 In another recurring Stanley theme, a pair of criminal types, played for laughs, rock Crashcup's dreamboat and attempt to harness his redundant inventions for their own profit. 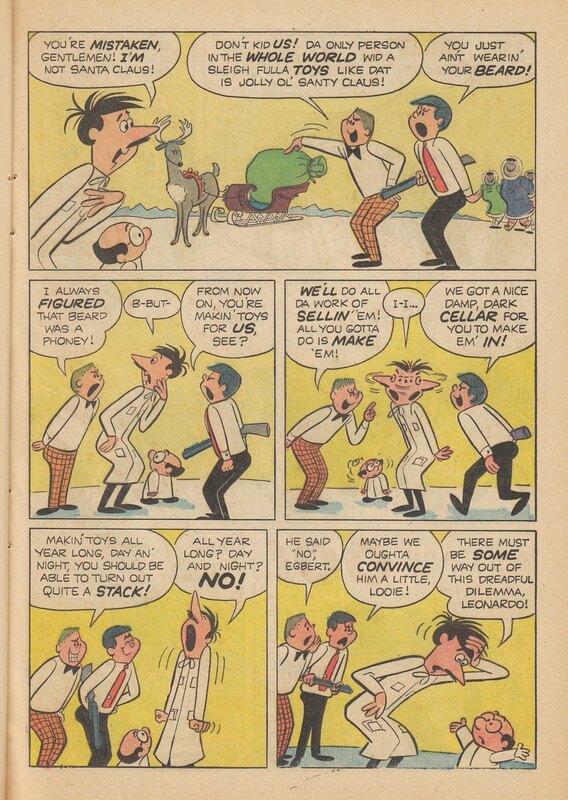 These Ivy League thugs are a far cry from the criminals in an early Stanley masterpiece, "Little Lulu Is Taken For A Ride." 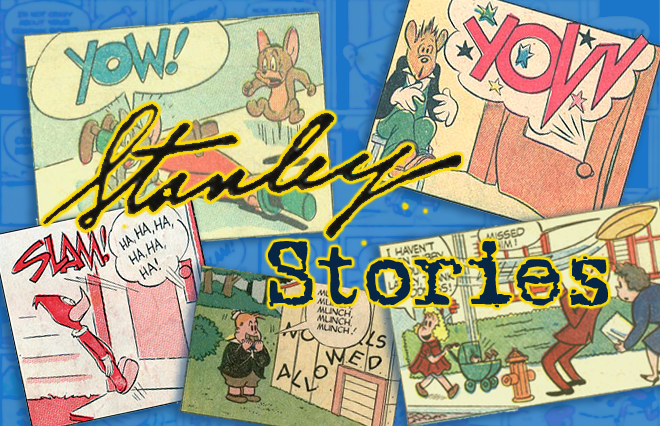 A comparison of these two stories shows how Stanley's approach and comedic vision changed from the 1940s to the 1960s. 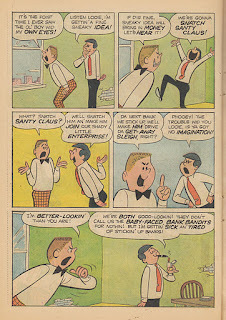 The 1947 story devotes more on-screen time to the ponderous fumblings of the Laurel and Hardy-esque crooks. 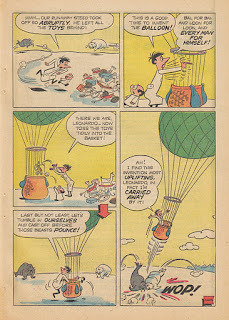 They are depicted with more gravity. 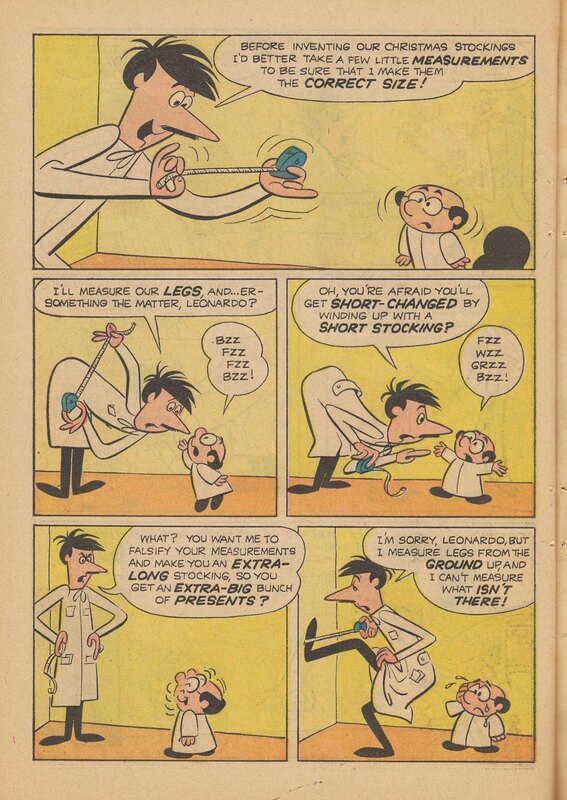 Despite their quirky personalities, it's evident that they mean business. 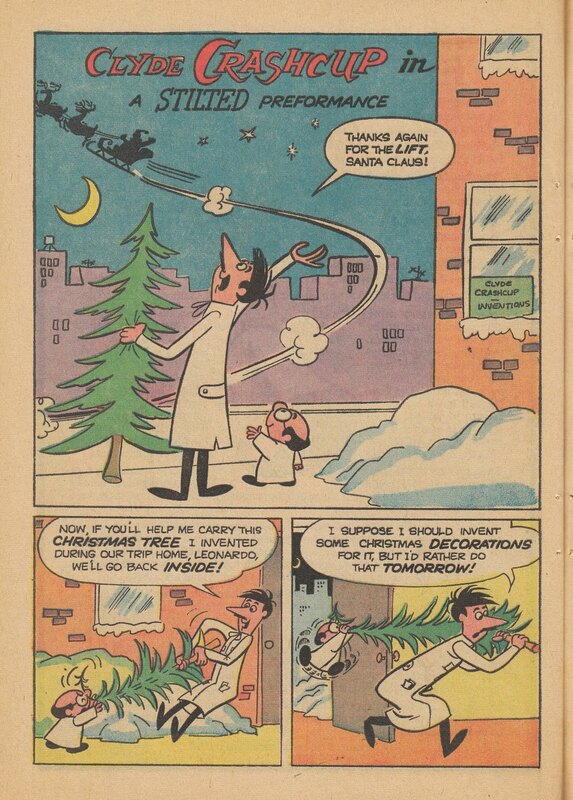 The criminal element in this Xmas story is more stream-lined and Space Age-oriented. 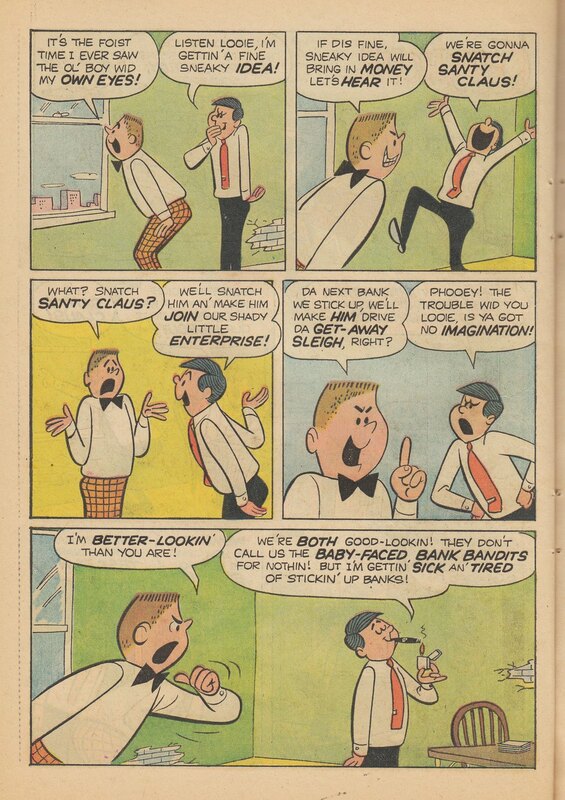 They dress like Madison Avenue junior execs, own a getaway helicopter, and have ambitions to nose in on Santa Claus' business, the better to make it turn a profit. 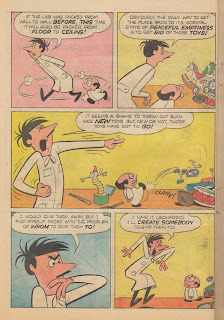 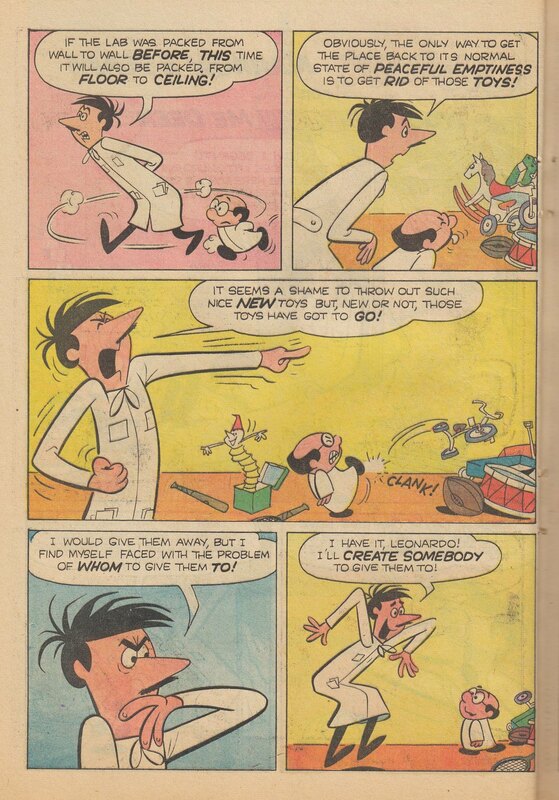 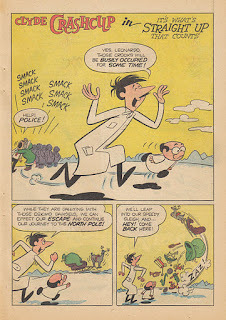 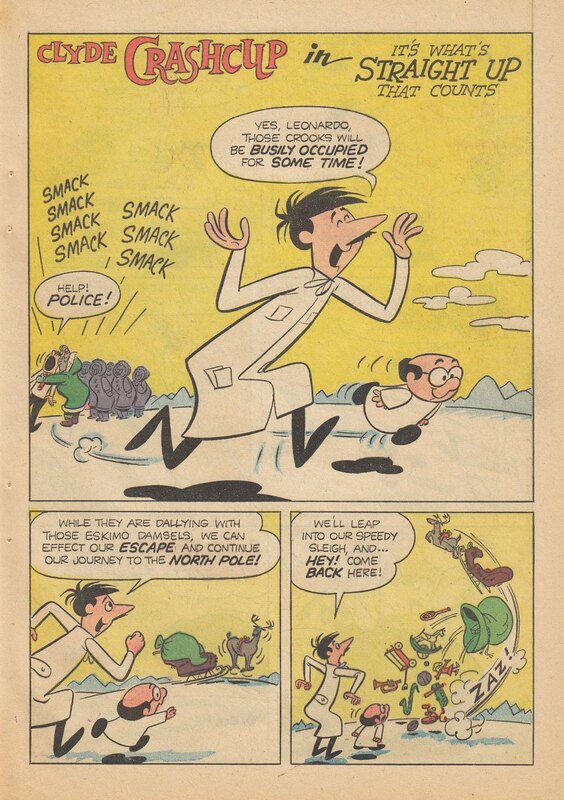 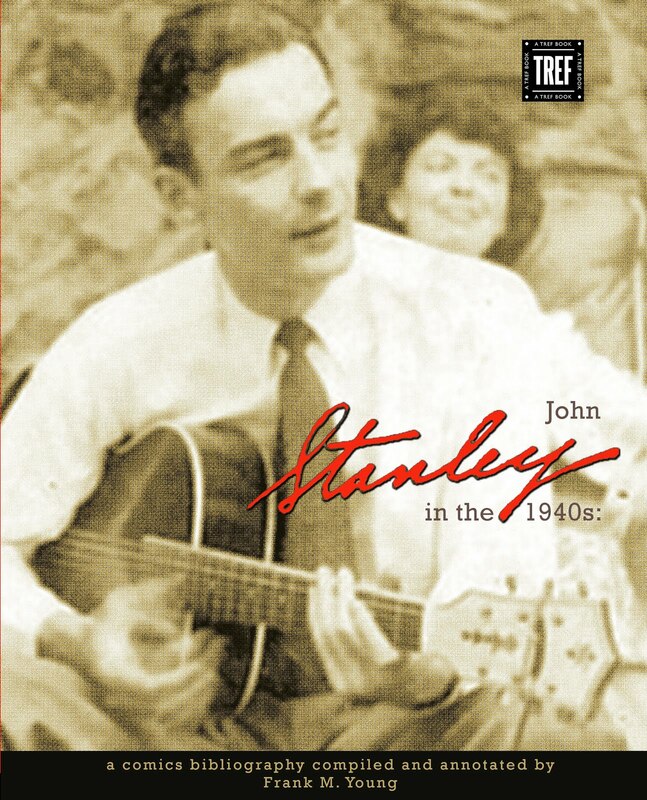 Williams' cartooning really works with the 1960s vision of John Stanley. 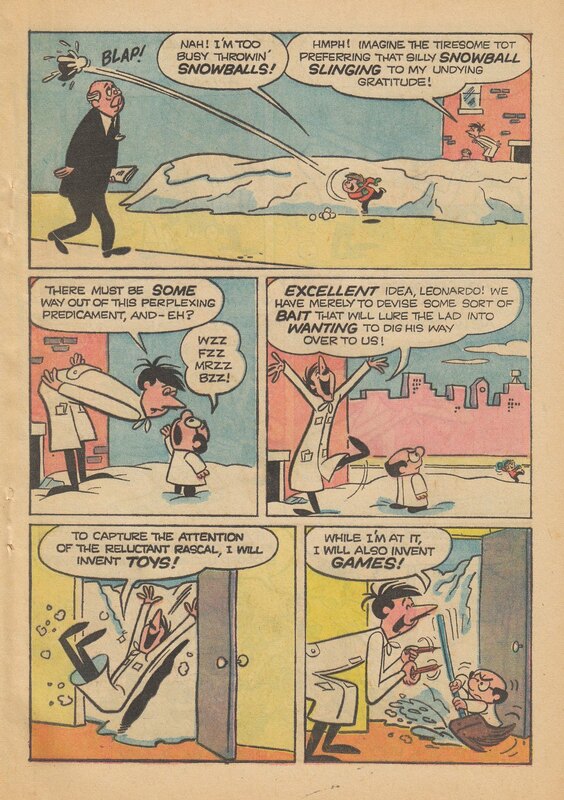 Their body of collaborative work is a bright spot in an uncertain age for the American comic book. 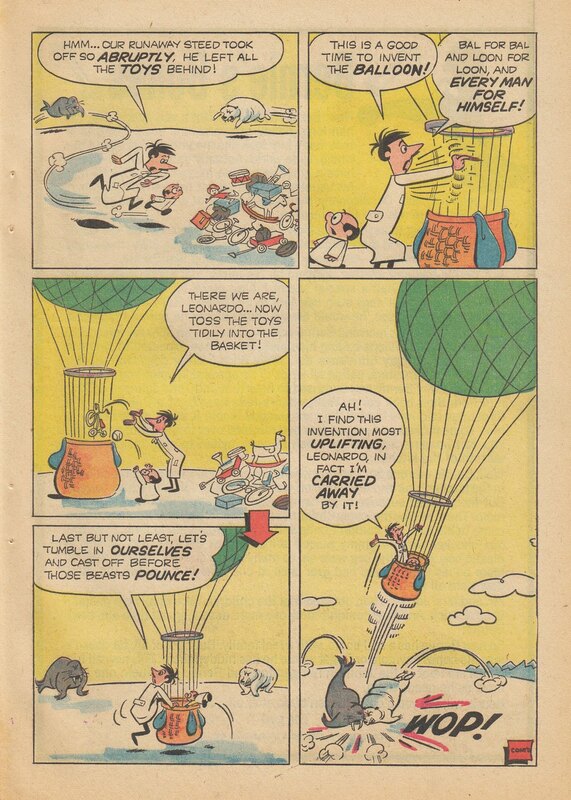 I'm struck by the moment, on the second page of chapter 5 ("Polar Problems"), when Crashcup and Leonardo fall from their balloon to what seems like certain death. 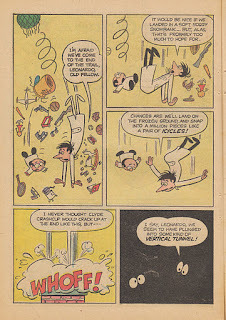 Crashcup does not attempt to invent a way out of dying. 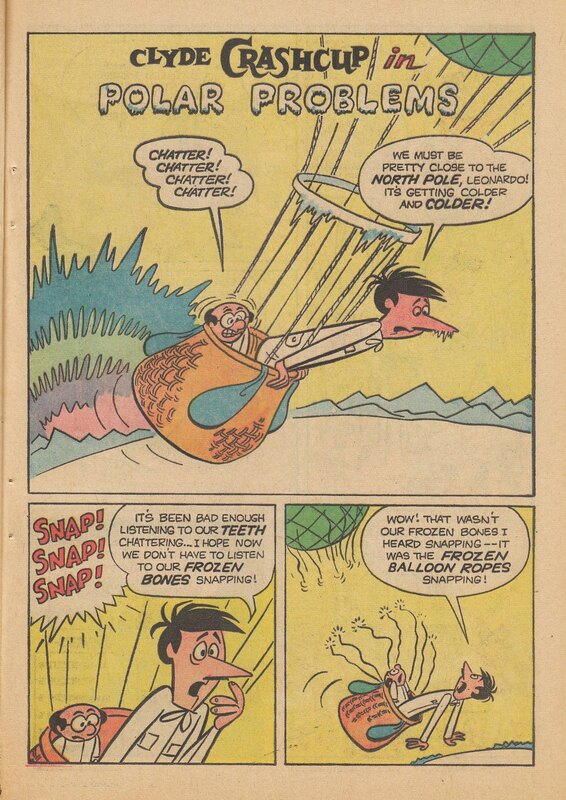 It's a rare moment when the pivotal Stanley character-type is jolted out of their self-immersed reverie, and is unable to function through the lens of their cognitive biases. 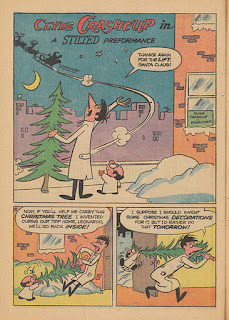 Thank goodness for that chimney! 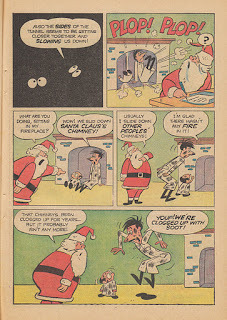 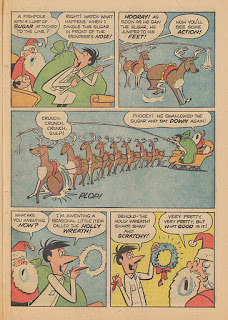 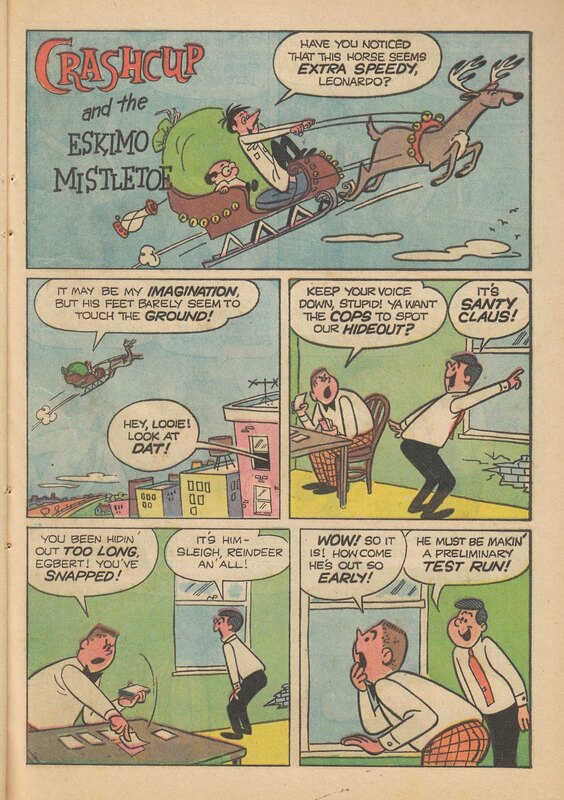 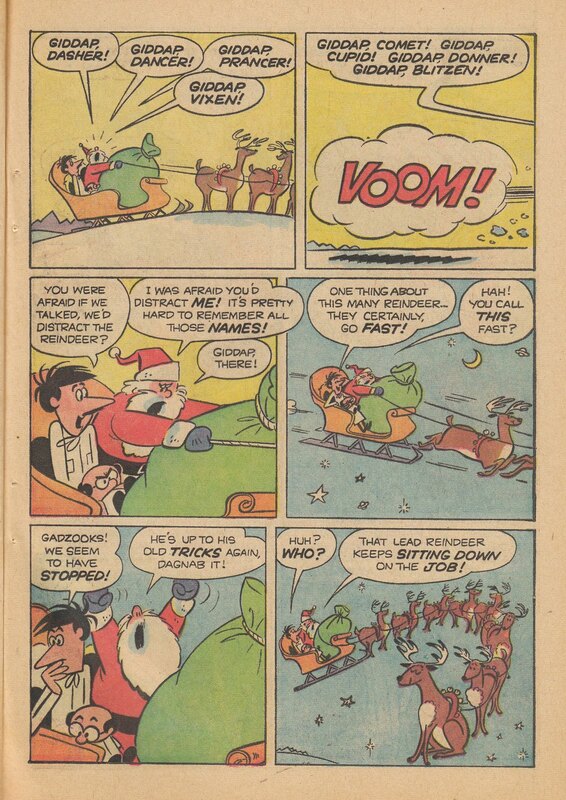 Which leads us to another subtle joy of this story--Stanley's depiction of a temperamental Santa Claus. 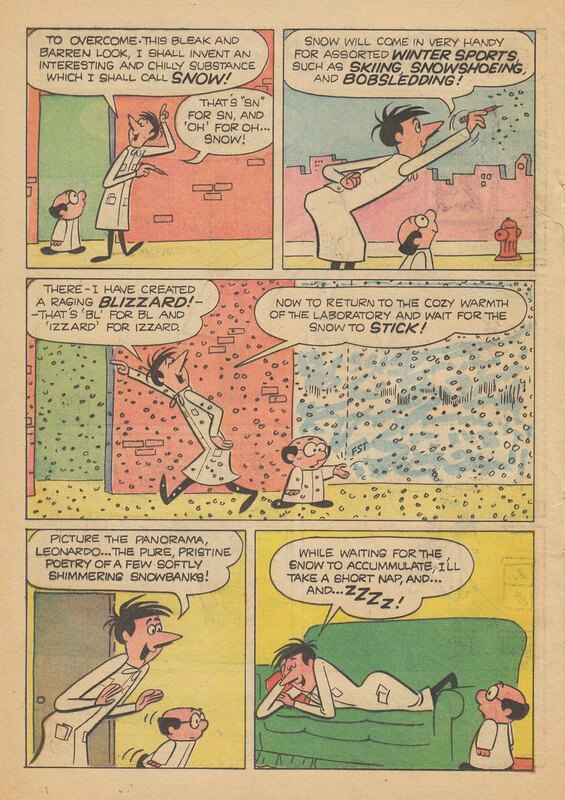 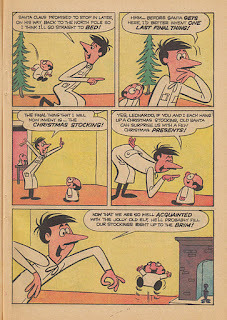 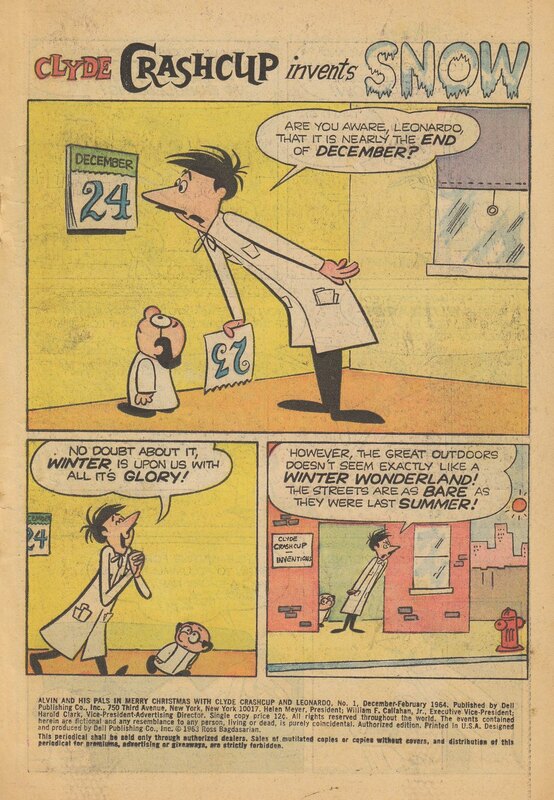 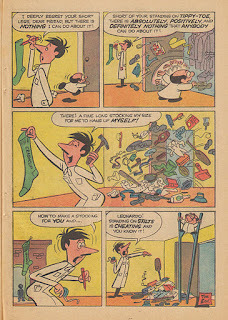 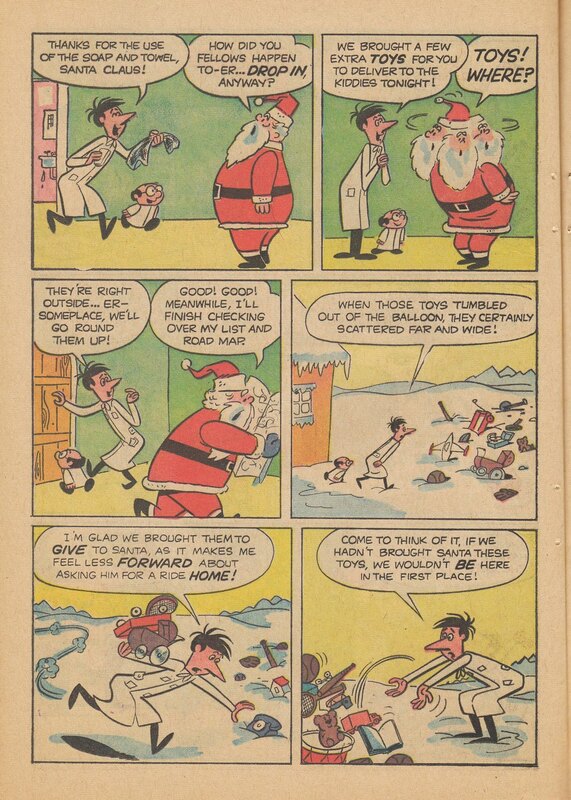 I suppose anyone would be caught off-guard by two men in lab coats dropping down their chimney! 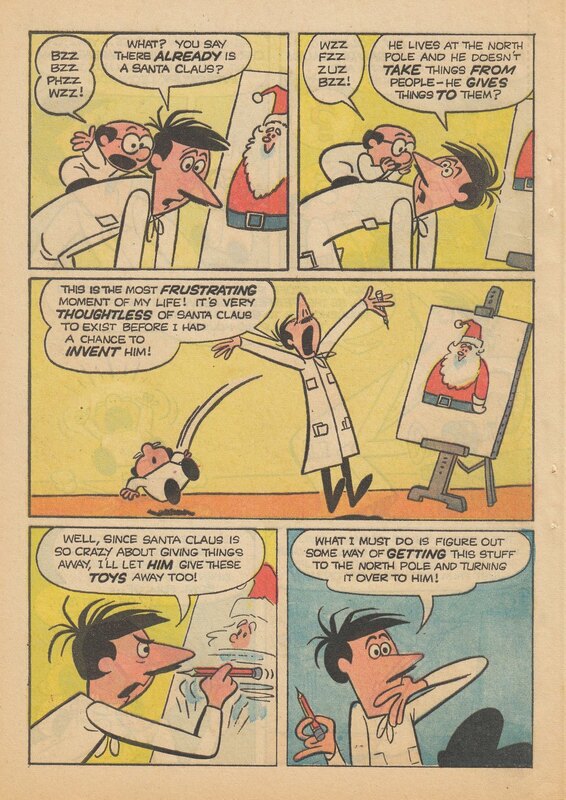 The touch of crankiness in Stanley's Santa is a small but divine detail. 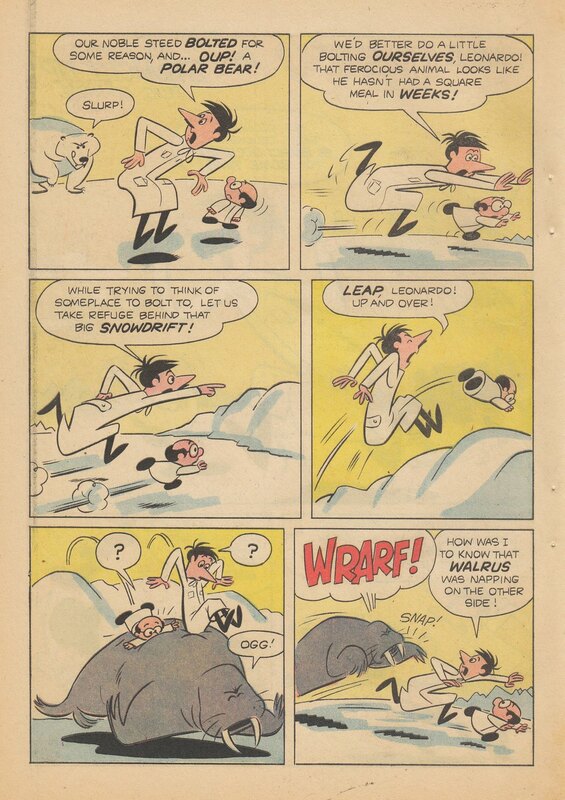 Such flourishes, including Crashcup's floridly alliterative speeches and Leonardo's body language, in reaction to Clyde's dithering self-delusion, are present in Stanley's work from his first stories. 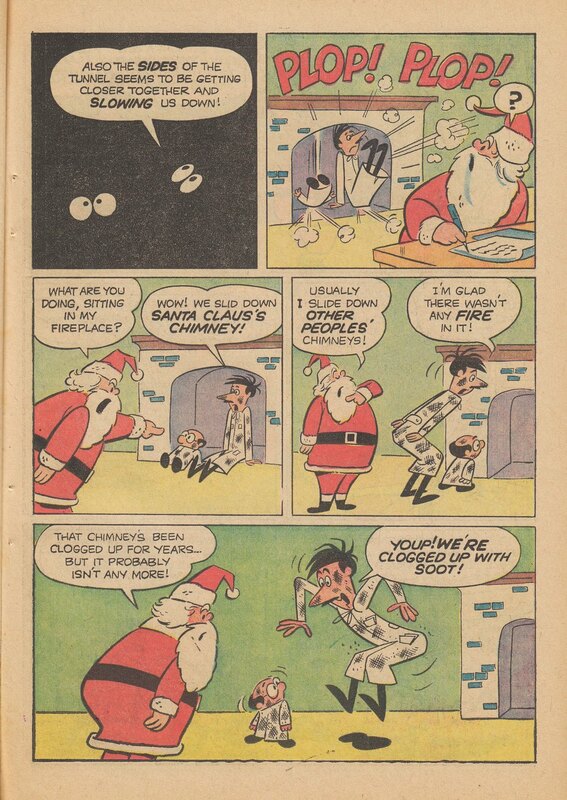 It's one of his strongest hallmarks as a writer and humorist--these little touches that don't necessarily call attention to themselves. 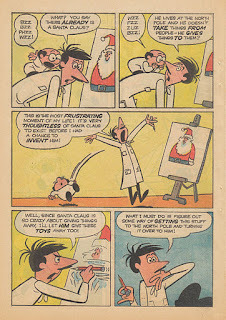 They idly bob on the surfaces of his stories, and if you notice them, you're rewarded for your effort.